token,you won't receive any confirmation. DO NOT SEND ANYTHING ELSE! You will see this screen, either login or create a new account. You will be presented with a Wallet Seed, you MUST keep this in a secure place. You will also be asked for your name and to create a password, again this MUST be stored in a secure place. The only thing you should ever share is the wallet address, this allows us to send your TiBYK Tokens to you, you must buy your TiBYK Tokens from this Waves wallet. We will NEVER ask you for any other information. You can't buy TiBYK Token with traditional money, £$€ etc. You need to buy a cryptocurrency. WAVES or below ETH. The simplest way to do this is directly through your WAVES Wallet with a credit card. With your Waves Wallet open, click on the "Deposit" button circled in red. This opens up a new window. You can only deposit between 30 and 200 Euros this way. 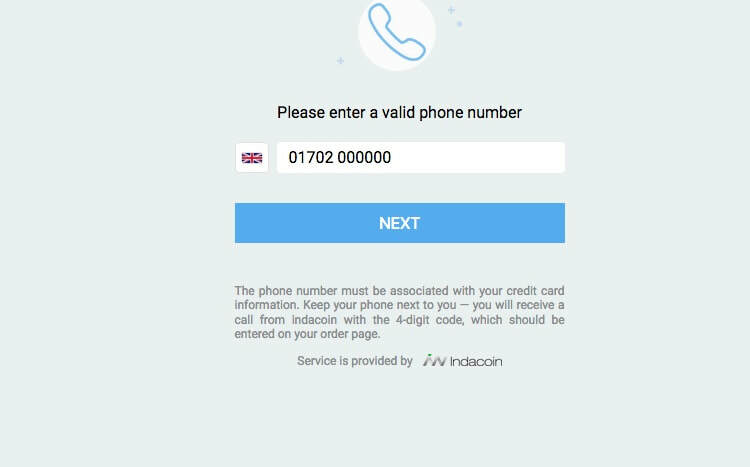 Enter the amount and click "BUY"
A browser window will open, enter your phone number and click "NEXT"
If you are new to this and dont have any of the above currencies you will need to visit a company such as Coinbase or CoinCorner. 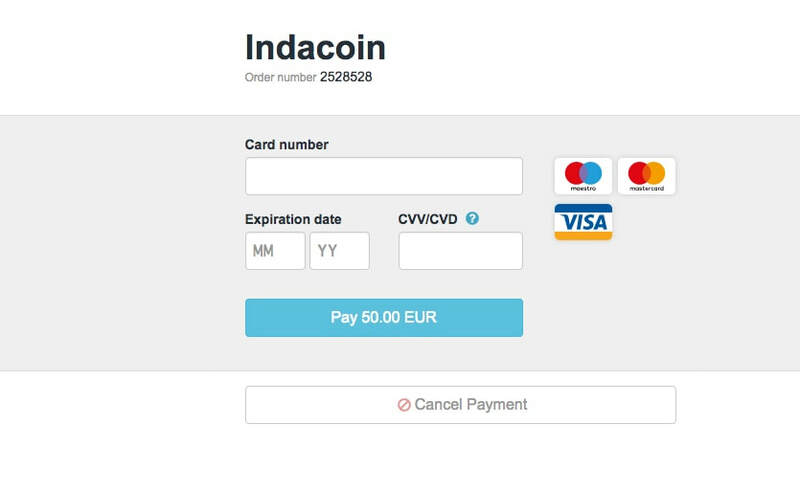 These companies will allow you to buy the aforementioned coins with either Credit card or Bank transfer. It's quite straight forward and both sites have good help guides. 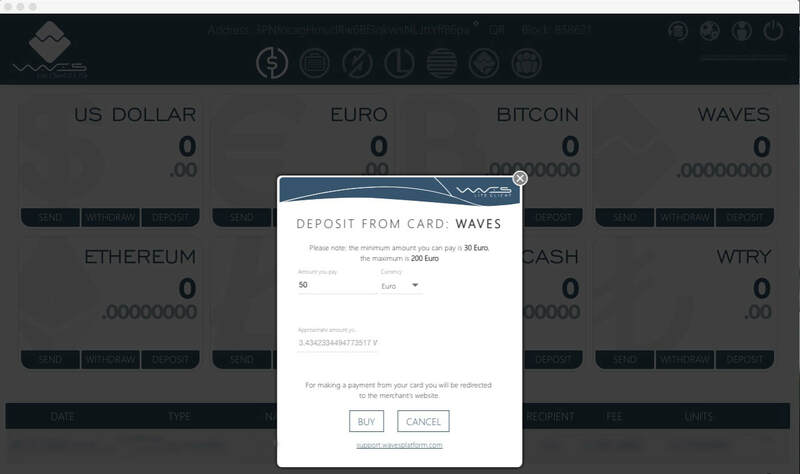 When logged in, this is what your Waves Wallet will look like. 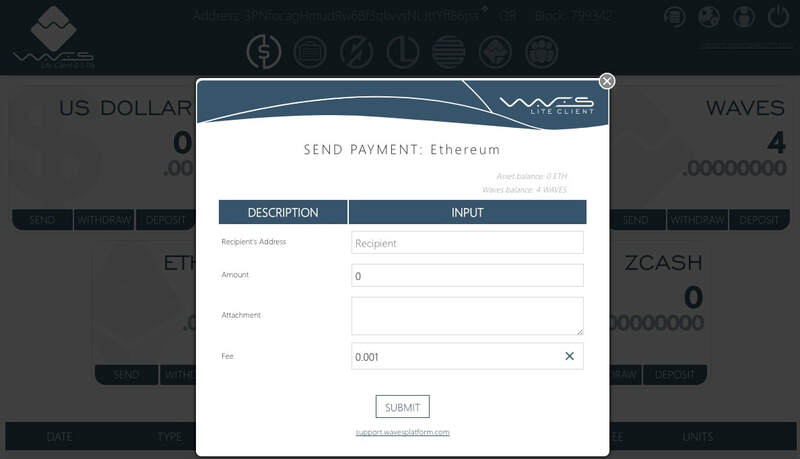 Once you have transferred your ETH it will appear in the relevant wallet, or Waves if you bought it direct through the Waves Wallet. The example below is exactly the same for both ETH or Waves. Enter the "Recipient Address" which is our ICO address and will be on the ICO homepage above the countdown timer from 02/02/18. Enter the amount of ETH or WAVES you want to send and that's it! Press the Submit button. You will notice that there is a Fee of 0.001 ETH, this is the same no matter what amount you send and is the transaction fee for making the payment. Within 10 days of the end of the ICO, the TiBYK tokens will be sent to the same wallet address you bought them from. They will appear in your Portfolio, which is the 2nd button along at the top of the wallet (looks like a suitcase). 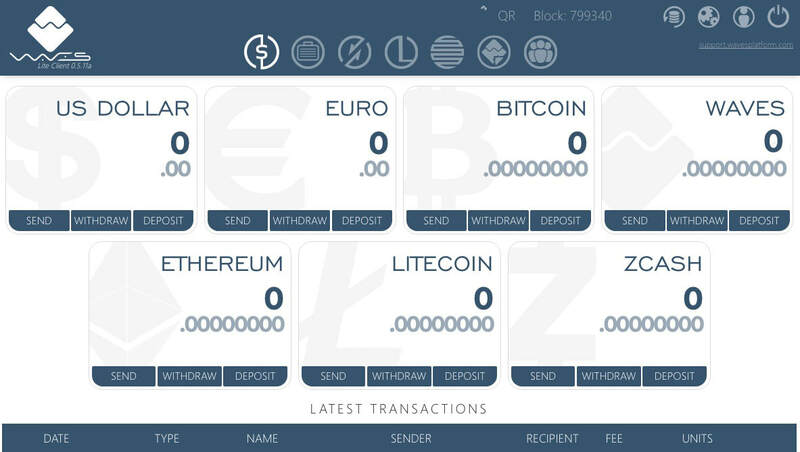 Once the ICO has started, you need to click on the send ETH button, lower left of the wallet and the below screen will pop up. Now you have the TiBYK Tokens you have a number of options. Keep and Hold them (Hodl), you are now part of the fun, follow the Team, Ambassadors and riders and get involved! Trade them, (currently this is the way you need to do it, hopefully by the end of the ICO you will be able to simply type TiBYK into the DEX Platform) in your Portfolio under asset name the TiBYK Token will appear. Click on the details button. A box will open, copy the "Identifier"
You will be presented with a Graph with Waves/Bitcoin, Paste the "Identifier" into replace either Bitcoin or Waves. Your TiBYK Tokens will automatically appear in the Exchange. If you are not sure about trading, it's best to read up on it before you start trading. We (Travers Bikes) can't offer you any financial advice.